In this course for those with intermediate sewing skills, we’ll create a reversible tote bag with inside and outside pockets, using up to seven different fabrics. With this easy pattern we’ll be using only straight seams, so it’s perfect to complete in just a few hours. You will need six 18” x 24” pieces of contrasting or coordinating fabric. 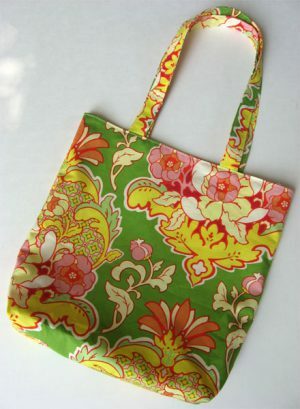 I will supply fabric for a complete tote available for $10 if you’d like to choose from my stash. PLEASE NOTE: Bring your own sewing machine. Class size is limited to seven.